The longest source of the Jordan is the 24-mile-long Nahr Hasbani which begins in the Beka Valley of Lebanon and flows south to join the Jordan. Israel has replaced many of the Arabic names that were commonly used in earlier decades with Hebrew names. The Old Testament says that the Sidonians “call Hermon Sirion, and the Amorites call it Senir” (Deuteronomy 3:9). 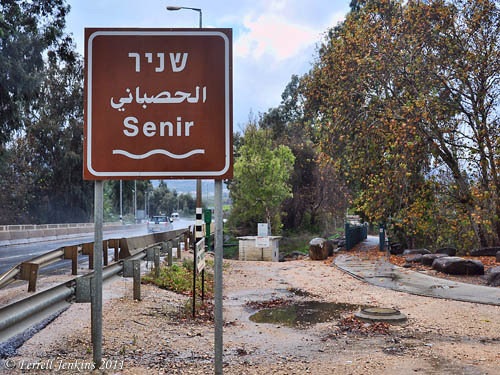 The river is now designated Senir in Israel. At the Senir (Hasbani) on Israel Highway 99. Photo by Ferrell Jenkins. Israel Highway 99 runs north east from Kiryat Shmona to the Golan Heights past Tel Dan and Banias (Caesarea Philippi) and two other sources of the Jordan (the River Dan and the River Banias). 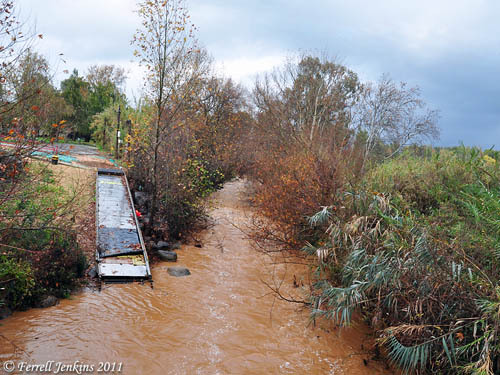 Because this river begins in the vicinity near Mount Hermon, it is called the Senir. The photo below is the view north from Highway 99. The Senir River (Hasbani) view north from HWY 99. Photo by Ferrell Jenkins. I think the slide on the west side of the river is used to launch kayaks into the river. This entry was posted in Bible Places, Bible Study, Israel, Old Testament, Photography, Travel and tagged Lebanon. Bookmark the permalink.